We all like to feel safe in our homes, but unfortunately accidents do happen. Here are just a few of the most common type of household accidents, and some steps to prevent them. Be sure to put all your harmful household chemicals in a locked cabinet if you’ve got small children in the house. Keep a close eye on the kids while you’re using any household cleansers. Don’t leave your children unattended while you go to answer the door. Don’t mix your chemicals. You may inadvertently create a toxic gas. Keep the Poison Control number posted near the phone, or programmed into your cell phone. Keep pot handles turned in when cooking. Sadly, we’ve all heard of children who have pulled down pots of boiling water on themselves, causing serious life threatening burns. Never leave frying items unattended. Keep matches and lighters locked away so children can’t reach them. Check the temperature on your water heater. Use the “low-medium” setting to prevent scalding. Replace any old, worn extension cords. Cover electrical outlets when you have small children in the home. Keep electrical appliances away from water or wet hands. Focus on what you’re cutting, and don’t get distracted by other things happening in the kitchen. Don’t leave a sharp knife lying in a sinkful of soapy water. Wash it as soon as you’ve used it, and put it carefully away. Use a bagel cutter. Or at least put the bagel down on a cutting board. Keep your knives properly sharpened. A sharp knife requires less pressure, so it will be less likely to slip and cut you. If you drop a knife, let it fall. Just step back, and don’t try to grab it. As we age, the chances of injuring ourselves in a fall increase tremendously. According to the Public Health Agency of Canada, more than half of all injuries among Canadians 65 years and over are due to falls. One-third of Canadian seniors will fall once each year, and half will fall more than once. Among seniors, 20% of deaths related to injury are as a result of a fall. Have non-slip surfaces in the tub or shower. Install well-anchored grab bars by the toilet and bath. Use a raised toilet seat, and a bath seat in the shower, if necessary. Clean up any moisture or spills immediately. Tidy up loose wires and cords, to prevent tripping. Use a cordless phone to avoid rushing to answer. Put night lights throughout your home. Have clear pathways from the bedroom to the bathroom, as well as to the front or back door for a quick escape in an emergency. Use non-slip pads under any loose rugs. Make sure all stairways have the appropriate railings, and are well-lit. Make sure all stairways are in good repair. Accidents happen in the home every year in Canada. Taking a few simple steps can go a long way to preventing serious incidents. If an accident does occur and it results in damage to your home or your property, make sure to call your home insurance provider once any immediate emergencies have been addressed. If you have a comprehensive home insurance policy, any resulting damage will likely be covered. Check your home or tenant insurance policy’s liability limit. 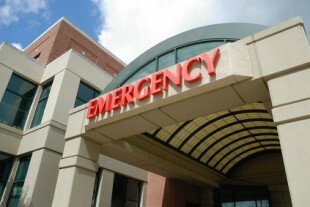 If a visitor is injured on your property, you could find yourself facing a lawsuit. For more information, or to get a home insurance quote, contact Square One at 1.855.331.6933.